Mo and To shot round the track and quickly broke records for the next hundred years. The gale made the Wabbit's fur stick to his skin and Lapinette's ears were numb. But Mo and To were pitted in a test of endurance and a hundred laps passed in so many minutes. On Lap 150, the Wabbit leaned into a bend and felt a tickle in his ear. Lapinette did too and ignored it but the Wabbit couldn't. He fidgeted and glanced behind. Nothing. Yet there it was again. This time it wasn't a tickle - it was more like a bite. The Wabbit tried to look up but fierce talons raked his fur and sliced at his head. The Wabbit let fly a stream of expletives that would have frightened wrestling champions, had any been in a position to hear. To heard though, so he laughed and stored up the words for future use. In that instant, Mo and Lapinette drew ahead and now it was Lapinette's turn to suffer razor claws swiping her ears. "Faster!" yelled the Wabbit. "It's the Fake Vote." He gritted his teeth as Mo and To throttled up but the Vote was in their slipstream and it swooped and raked and sliced. The Wabbit had no option. "Mach 20!" The wind caught his words and passed them to Lapinette. "It's against the rules!" she yelled. The Wabbit clung to To and yelled back. "It's an exception!" "We hate rules," said To. 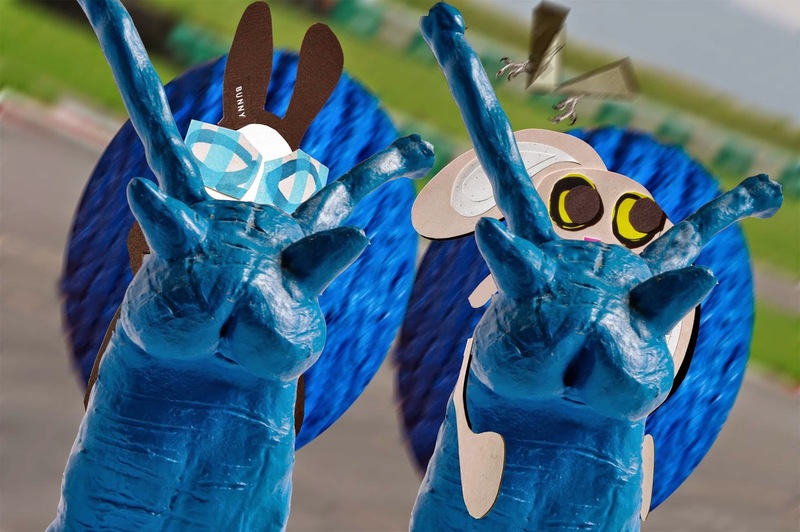 High up in the Tower, the race marshal saw the MoTo snails turn into two blue balls of energy and vanish. He flicked through his rule book. "Stop and Go Penalty," he muttered.